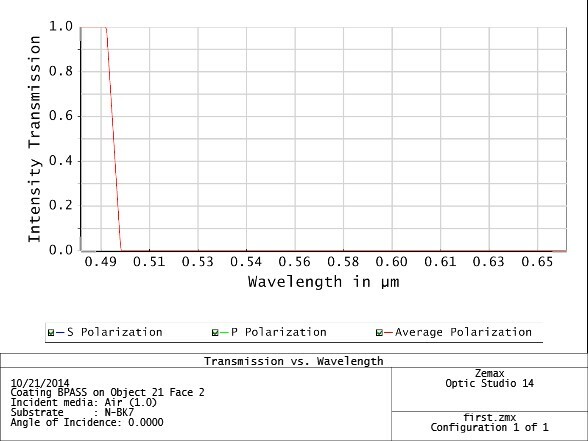 [en] How to make a wavelength selective coating in Zemax? Pretty easy 🙂 Open the file COATING.DAT under your favorite editor. File is usually located at somewhere like “c:\USERS\USERNAME\DOCUMENTS\ZEMAX\Coatings\”. Once you open it, paste this list below to make a blue color allowing filter.